A COMPLETE GOLF PROGRAM FOR THE ALAMO CITY! Want to make the most of your golf trip to San Antonio? We have the top courses in a neat little bundle. This 5-day/4 night package takes in the most scenic and challenging layouts in the San Antonio area. 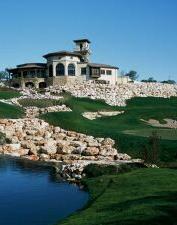 Start out with one of San Antonio's most unique designs - The Quarry. This 18-hole Keith Foster masterpiece continues to draw players from all over the country. Meticulously laid-out holes that work around an old stone quarry offers a thought-provoking round and can be played forward to mostly avoid the quarry or back to put the "giant hole" in play from the tee box. 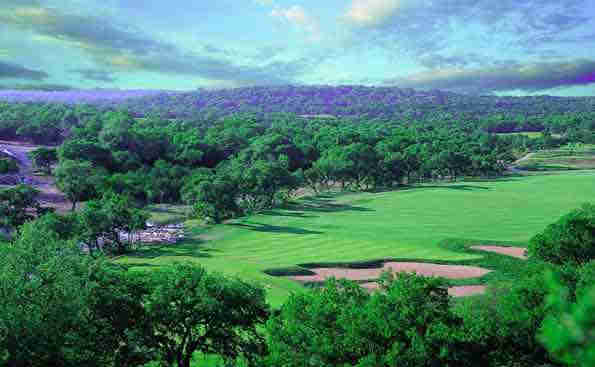 Next, play Hyatt Hill Country - an Arthur Hills design and a mainstay for San Antonio golf. Then, take a swing at Canyon Springs. If you're looking for Texas you will find it here. Home of the last stagecoach station out of San Antone there are still old era buildings and relics incorporated into this exciting Hill Country layout. We have added The Bandit for its character. Its outside the city to New Braunfels but its worth the drive. And finally, play your choice of either The Resort Course or The Palmer Course at La Cantera - a great way to end your rounds in Ol' San Antone! 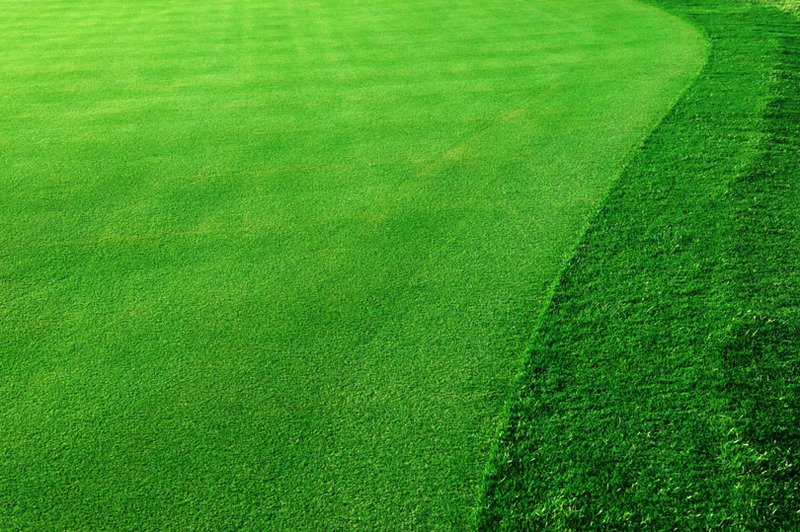 Enjoy some of The Alamo City's best golf at these exceptional clubs! CALL US or request your San Antonio golf package information here. These courses are time-tested and always well maintained. Rated the best-of-the-best statewide, this collection of San Antonio's finer links will provide hours of fun and challenge. We offer the largest selection of clubs in the San Antonio area. PLAY SAN ANTONE'S BEST 90 HOLES! Day 1 Arrive San Antonio for check in at The LaQuinta Inn and Suites Northwest. Tee it up at The Quarry Golf Club enroute to your hotel. Perhaps no other city can boast of a site less than ten minutes from downtown that would match that of The Quarry Golf Club, a Keith Foster design opened in 1993 that is one of the most unusual layouts anywhere. At 6,740 yards from the back tees, its moderate length may lull you into a false sense of security. Make no mistake about it, this is a very difficult golf course that changes personality in a hurry. The watery, treeless front nine lies between an adjacent expressway, railroad tracks and an office complex -- not exactly a serene golf experience. Tall heather abounds, adding an esthetic touch with a propensity to swallow golf balls. An entirely different experience awaits as you descend into the quarry for the back nine. It's one beastly hole after another, with carries over waste bunkers, narrow fairways, and 400 extra yards. The setting, however is something to behold. The sheer walls of the quarry extend up to a rim lined with luxury homes, and the factory where limestone was once converted into concrete is now the upscale Quarry Market mall. It's urban renewal, with a touch of The Flintstones' Bedrock. ... more about The Quarry! Day 2 PLAY Hyatt's Hill Country Golf Club. 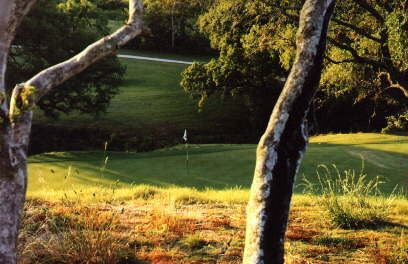 The Hill Country Golf Club, nestled in San Antonio's Hill Country, meets all the standards of a truly great golf club. The 6,913-yard course is a beautiful, but challenging 27-hole course designed by the nationally acclaimed golf course architectural firm, Arthur Hills and Associates. 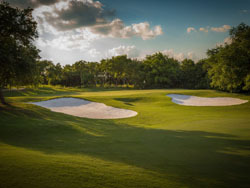 A number of Arthur Hills and Associates courses are nationally recognized, including Eagle Trace, the TPC course at Coral Springs, Florida, which hosts the PGA Tour Honda Classic. In its first year, Hill Country Golf Course was nominated for best new resort by Golf Digest. It was also listed among Golf Magazine's Top Ten Courses You Can Play and was the recipient of Corporate Meetings and Incentives Golden Links Award. ... more about Hill Country Golf Club! Day 3 PLAY Canyon Springs Golf Club. Canyon Springs is set in a scenic oak forest covering a series of hills. The isolated routing makes you feel as if you're on top of a private mountain, as no two fairways run parallel. Some might expect a tricked-up course with wild elevation swings and long forced carries. Instead, the design blends in with its environment instead of taking advantage of it. There were some heated discussions during construction on whether or not to leave some strategically placed trees, and in the end, the correct decisions were made. The result is a thinking person's layout where placement off the tee is critical and the huge greens can make for wildly different pin positions. One of the most scenic courses in San Antonio, this stop will surely please all! ... more about Canyon Springs! Day 4 PLAY The Bandit Golf Club (New Braunfels, Tx.). The Bandit appeals to all golfers but especially to the purist. With water in play on 12 holes and 100 foot elevation differentials and pristine condition this course offers an unforgetable experience. Not a single hole is embraced by housing. The Bandit is a delightful "change of pace" experience waiting for the golfer who enjoys a challenge of some unforgettable holes while enjoying the twisting, rolling terrain of the historical Texas Hill Country.Whether its the breathtaking views, the pristine condition of the course or the first class treatment by an accommodating staff you will remember The Bandit! ... more about The Bandit! Day 5 PLAY La Cantera Golf Club. La Cantera was the recent former site of the PGA Tour's Texas Open. Located on the north side of town, this thrill-a-minute design by Tom Weiskopf and Jay Morrish has made quite a bit of noise since its debut. It was a Golf Magazine "Top 10 You Can Play" in its first year and continues to set its sights high. Speaking of roller coasters, the seventh hole provides one of the most remarkable scenes in all of golf. The tee shot on this 316-yard par four drops 80 feet down to the fairway, set in the bottom of an old limestone quarry. However, your eyes seem glued to what sits to the left of the hole: The Fiesta Texas Amusement Park, complete with "The Rattler," a huge wooden roller coaster directly on the other side of a fence from the green. Every 40 seconds or so, your concentration is interrupted by the shrieks of yet another group of thrill seekers as they cascade down the coaster's initial drop. 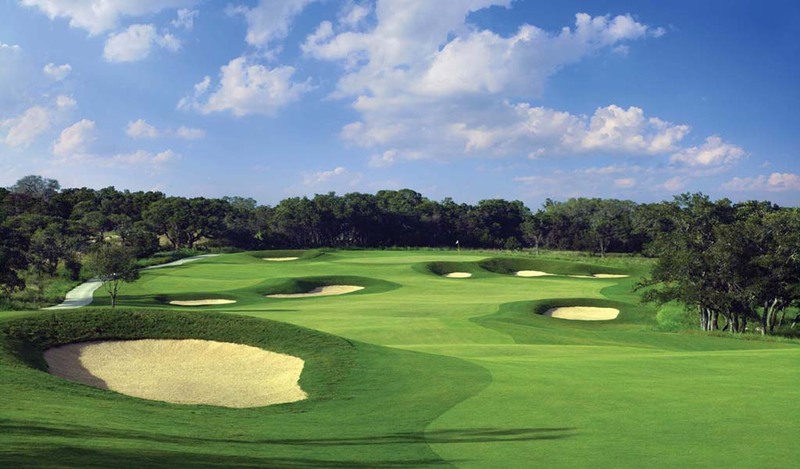 In addition to the championship 18-hole Resort Course at La Cantera, the resort also boasts the Palmer Course at La Cantera, designed by golfing legend Arnold Palmer. The resort’s acclaimed Golf Academy features state-of-the-art equipment, a talented staff, and specially designed corporate and group programs. ... more about La Cantera Golf Club! Our optional overnight accommodations are chosen based upon their proximity to the courses, as well as, their overall value, function and convenience to a wide selection of dining venues. These properties APPRECIATE THE GOLFER. 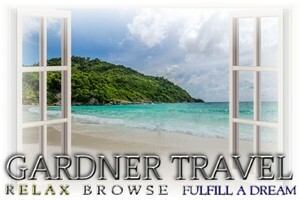 Rates range from reasonable to luxury and depending upon your needs. And, you may bring along non-playing guest(s) free of charge, in most cases, up to the maximum allowed room occupancy. These accommodations are optional. However, they make excellent turn-key solutions when you are seeking a complete playing experience in the San Antonio area. A Popular Choice for Our Visiting Players! 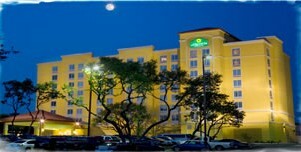 This San Antonio hotel and state-of-the-art conference center is located in San Antonio's Northwest side of the city. It is also well located for most of the courses on our program. The La Quinta Inn and Suites Conference Center at Medical Center is a brilliant eight story contemporary hotel offering 168 deluxe accommodations including one and two room suites. Conveniently located off IH-10 in Northwest San Antonio Tx, the La Quinta is just minutes from the Medical Center, Riverwalk, Sea World, North Star Mall and the Shops at La Cantera. Each room features marble countertop bathrooms, complimentary wireless internet access, refrigerator, microwave, electronic safe and on demand movies. Well-trained and helpful staff maintains a focus on every guest's needs and are dedicated to providing the golfer with the best mid-priced, high-value San Antonio hotel experience. For a pleasurable overnight experience while hitting the links in Old San Antone we guarantee a relaxing stay at La Quinta! Delicious breakfast including bacon or sausage, eggs and other hot items, coffee, juices, pastries, yogurt, cereals, fresh fruit, and "Create Your Own Waffles." Prices are in US currency and are per-person based on double or single occupancy and staying at The La Quinta Inn & Suites NW/MedCtr for 4 nights and 5 rounds as listed above. Single Player rate allows 1-2 non-playing guests to stay free in room. Upgrades for overnight accommodations availabe on this package (see below). The GOLF PORTION of this tour can be purchased separately. All prices are subject to availability and change. Taxes, range balls, cart and resort fees included. 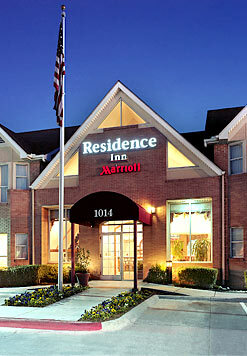 Make yourself at home in San Antonio minutes after your plane lands, at the Residence Inn San Antonio Airport. This San Antonio hotel is conveniently located several miles from three of our top golf courses. A twenty minute drive takes you from your San Antonio, TX hotel to historic, vibrant downtown San Antonio. Take a water taxi at the San Antonio Riverwalk. See a show at the 1929 Majestic Theatre. Try some genuine Texas BBQ. And of course, remember the Alamo! Back at your San Antonio, Texas hotel, they will be waiting with a free breakfast buffet in the morning and free appetizers at their nightly social hour. Outside is a BBQ picnic area and a heated pool. Curl up in front of a fireplace or make yourself a meal in the fully equipped kitchen in your suite. Enjoy a well-lit large desk, ergonomically designed chair and free high speed internet. And pets are always welcome! Homewood Suites by Hilton offers spacious studio, one, and two bedroom suites with enough space for work, study, or entertaining, complimentary high speed internet access in all guest suites. 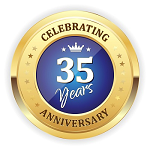 A complimentary "suite start" hot breakfast every morning and a welcome home reception featuring a complimentary light meal and beverages Monday through Thursday evenings. All for less than you might think. At this lovely Homewood Suites Hotel you will enjoy one of 26 different suites plans that have been developed inside the San Antonio Drug Company Building-listed in the National Directory of Historic Places. Valet parking required at $26 daily. In 1914, local grocer Edward Franz Melcher opened Hotel Havana with a vision to recreate the tropical allure of the hotel’s Caribbean namesake. He built in the Mediterranean Revival style popular in Cuba at the time, and many of the surrounding cypress, palm and magnolia trees he planted still remain. The hotel served as a temporary residence for Melcher’s visiting vendors, beginning a storied legacy that includes FBI stings, acts of God and other colorful events befitting a grand and legendary hotel. In April 2010, Hotel Havana was reopened under the humble care of Liz Lambert and her team at Bunkhouse. The hotel is listed in the National Register of Historic Places, but manages to maintain its youthful spirit nonetheless. The property is listed in the National Register of Historic Places and has been voted one of the nation’s best hotels by Condé Nast Traveler, Travel + Leisure, Southern Living and Budget Travel Magazine. Situated in a glass conservatory overlooking the River Walk, Ocho serves breakfast, lunch, dinner and late-night snacks indoors and on our breezeway. Executive Chef Juan Bernal has created a menu rooted in the hotel’s pan-Latin cultural influences from Mexico, Cuba and Texas. The cocktail menu highlights the tequila of the hotel’s San Antonio roots with the rum of its Cuban namesake, with a love for old school recipes and, when the occasion calls, the simple satisfaction an ice cold Michelada. Ocho offers complimentary wifi and serves Stumptown espresso drinks to stay or take away. Havana Bar offers cocktails in dimly candlelit basement setting suitable for intimate meetings and secret rendezvous. 2 Incredible courses at one of San Antonio's top golf resorts! Laid-back luxury resort that overlooks a spectacular 27-hole course - one of Arthur Hill's best designs! Extra nights and rounds available at low package rates!